For many high school students, math does not mean much more than a grade on a report card. Media publicizes math as a horrible subject based on the common stereotype that people hate it, which is actually a reality for many. A study conducted by Professor of Mathematics at Stanford Graduate School, Jo Boaler, reports that 50 percent of students in the United States hate math. While this common aversion for math may be influenced by pop culture, it is also due to the curricula and teaching style. Instead of emphasizing algebraic manipulation and memorization, high school math curricula should focus more on logical and analytical portions of the subject. Doing so would not only provide a more enjoyable way to learn valuable information, but also help students strengthen understanding for basic concepts and develop logic and spatial reasoning skills. Though numerous curriculum changes have been implemented in attempt to increase basic understanding of the subject, average student math performance has not improved. The Nation’s Report Card reports that high school math scores have remained stagnant since the 1970s, with only 25 percent of 12th-graders scoring at a proficient level. Despite any curriculum changes, students still misunderstand much of the subject — a reason for their hatred towards it. Traditional high school math classes focus mostly on students memorizing certain techniques of algebra in order to solve problems. These include songs to remember the quadratic formula, the FOIL method, and many more. In the high-pressure, high-density format of math classes, these tricks become the only way students can get through their work — deeper understanding is sacrificed when memorizing. Knowing the quadratic formula by heart is important, but so is being able to derive it or explain why each part matters, since it’s ubiquitous in other subjects years after students learn basic algebra. Remembering FOIL can even obfuscate a rather intuitive concept. In a system that incentivizes just remembering these concepts to save time and effort, students who find themselves struggling in class are alienated. Since they got through math with only these tricks and techniques, their foundations in basic math may be very shaky. Without this basic understanding, higher math becomes inaccessible. 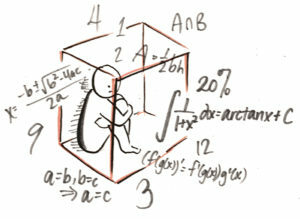 Many of these students have already deemed themselves bad at math, and repeated failure only further distances them from the subject, instead of putting them on the path of math-skill recovery. Even for high school students who deem themselves good at math, research and higher-level math courses are required for STEM degrees, and a thorough logical reasoning base is crucial. Simple memorization techniques can no longer help. Students deserve change in the way math has been taught since childhood, especially since math and logical problem-solving skills are needed throughout life, including in rhetoric, research, and in most professions. 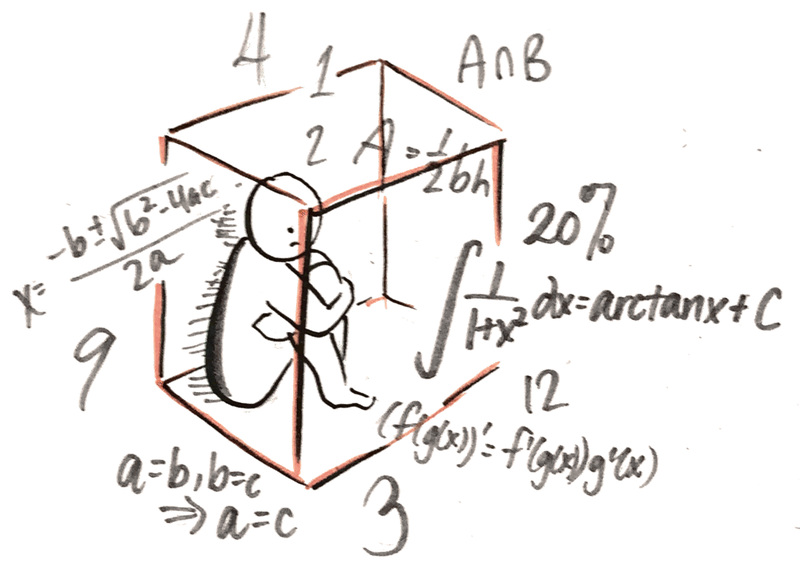 Depriving students of the opportunity to learn and enjoy math is cruel. The curriculum is ripe for change. Memorization, speed, and test pressure don’t help students understand or enjoy math. Approaching the subject with a higher level of analysis may be better. True understanding of math requires a strong base in surrounding fields before analyzing a certain part, much like how students must read and understand the context of a novel before discussing the whole. Moreover, basic reading, writing, and language skills are taught early and strengthened every year — logical reasoning and problem solving skills must be taught similarly, and not treated as an auxiliary part of math. Students don’t resist learning to read because it’s clear to them how integral literature is to everyday life. With a similar attitude towards reasoning in math, students can learn better and appreciate the subject more. They would no longer see math class as something to simply cram and survive for. In 2015, The Carnegie Foundation for the Advancement of Teaching experimented with a new math curriculum, called Quantway, applying it to various community colleges across the nation. The course covered applicable topics such as reasoning, modeling, and statistics. Unlike high school math courses where solving problems is a solitary exercise, Quantway students were taught collaboration and reflective strategies. Instructors also brought in guest speakers, a technique that proved both engaging and helpful. Compared to students in traditional math classes, Quantway courses had a 13 percent increase of those who earned a passing grade, including a 100 percent retention rate. Through the unique curriculum and study methods, the courses ensured that students both understood and enjoyed the material, something essential for younger students learning math. Though many fail to recognize the importance of math, the subject can be used all around us. To ensure students grasp basic understanding for concepts rather than memorize, math curriculum must focus more on the analysis of the subject, while teachers find ways to engage students. Doing so would change the common misconception of math as a horrible subject, and hopefully lead to greater appreciation for the subject. Be the first to comment on "Teaching Math to People Who Hate It"